Originally Published: Sept 25, 2009. The Super Nintendo has a ton of rare video games and quite a few super expensive games too. Below is a list of the rarest and most expensive Super Nintendo games and what makes them so valuable. The list is ranked by highest recorded loose cartridge price. Powerfest 1994 was a nation wide video game competition Nintendo hosted to market their Super Nintendo console. For this competition Nintendo made a unique cartridge with three games on it. The game had Super Mario World, Super Mario Kart, and Ken Griffey Jr Baseball on it. Players would compete to get a high score by beating the first level of Mario World, finishing the first track of Mario Kart, and hitting as many home runs as possible in Ken Griffey. Only two of these cartridges are known to exist today. All the rest were destroyed by Nintendo after the competition was finished. The first cartridge was originally found at a epic garage sale and then sold for $10,000 to a collector. The second cartridge was sold on eBay for $23,000. Nintendo sponsored a video game competiton on 60 college campus in the US. Competitors had a fixed time to get 50 coins in Super Mario World, complete two laps in F-Zero, and lang targets in Pilot Wings. An overall score was calculated and a nationwide winner was determined. 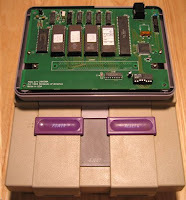 In order to run this competition Nintendo made custom SNES cartridges. All of these cartridges were supposed to be recycled by Nintendo after the event, but only two NTSC versions of the game exist. One was found at an the same garage sale mentioned above and the other was kept by an employee helping with the original event. In 1995 Blockbuster held the "Blockbuster Video Game Championship II" at all their stores across the world. As part of this competition Nintendo made a special Donkey Kong Country cartridge (a Sega Genesis game was made for this competition too). DKC Competition has eight levels and only allows five minutes of play before giving a score. High Scorers at each store were given prizes and eventually a winner was crowned in San Francisco. After the competition was completed the cartridge was sold through the Nintendo Power catalog. The description in the catalog said 2,500 copies were made. Nintendo and LifeFitness teamed up to develop a stationary bike that was compatible with Super Nintendo games. You would pedal the bike and move your character faster on the game and could steer using specially designed controllers that attached to the handle bars. Only two games were developed for the bike though: Exertainment Mountain Bike Rally and Exertainment Bike Rally & Speed Racer combo. The combination cartridge was officially licensed by Nintendo but never made it to stores. Most of the copies available today were found at a Nintendo warehouse. The exact number of copies available isn't known, but there are probably fewer than 1,000 to 2,000. M.A.C.S. (Multipurpose Arcade Combat Simulator) was developed for the US Army to help train soldiers on M16 accuracy. The game included a gun that was identical in weight and size to a real M16, but uses the same technology as the Super Scope so it can be used on a TV. The exact number of copies originally made is unknown. The game comes up for sale very infrequently but when it does, it fetches top dollar. The last sale was for $1,200. Another cartridge made for a Nintendo competition. 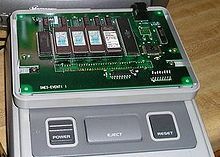 The Starfox Competition cartridge was hosted at toy stores across the country when StarFox was released on the Super Nintendo in 1993. The game allows only four minutes of play time and includes three levels. Two of the levels are shortened versions of Corneria and Asteroids, but the third is a level designed just for the cartridge. After the competition was complete Nintendo sold the cartridges to Nintendo Power subscribers through a catalog. The game sold for $45 when original released and now sells for $400. There are roughly 2,000 copies assuming Nintendo only made enough for the stores that held the competition. That makes it the rarest officially released game on this list. Aero Fighters is a vertical side-scrolling shoot-em up. You control a fighter jet from one of four countries (USA, Japan, Sweden, and UK) and shoot your way through seven stages. After beating these stages the difficulty level gets much harder as you play through again. 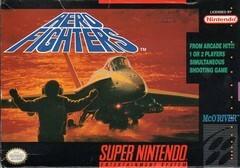 Aero Fighters was one of only two games released by publisher Mc O'River. They released Hyper V-Ball for Super Nintendo in June 1994 and Aero Fighters in November 1994. V-Ball is easy to find but Aero Fighters is extrememly rare. Hagane is a side-scrolling action game for the Super Nintendo and very similar to the Ninja Gaiden series. The game is extremely difficult and does not have a save feature, which only adds to the difficulty. You need to beat the game in one sitting. Hagane was only available at Blockbuster stores so not as many copies were produced as wide-release games. Pocky & Rocky 2 is an action game with many elements from shoot-em up games. Enemies and bosses appear on the screen and you shoot in one of 8 directions to kill them. Unlike most shoot-em up games, you don't control an airplane. You instead control a human, Pocky, or one of several player 2 options. 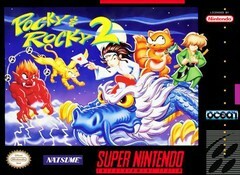 Pocky & Rocky 2 was released in November 1994 and is a sequel to Pocky & Rocky for SNES. Like many sequels for the Super NES, it is harder to find than the original and fetches a premium price too. Final Fight was a launch title for Super Nintendo in 1991. Final Fight Guy was released three years in 1994 with a few minor changes. The character Cody was replaced with Guy and four difficulty settings were added. 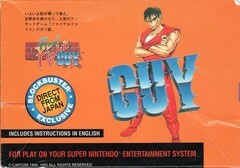 Final Fight Guy was originally available as a rental only through Blockbuster Video. It later received a limited release for sale, but the limited distribution makes the game hard to find today. Metal Warriors is a side scrolling platformer. You play as a human who controls a mech and fights other mechs. You can exit your mech at times to get into smaller areas and switch to different mechs. 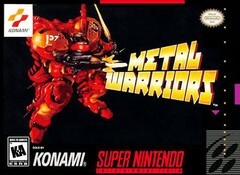 Metal Warriors was released exclusive in North America in 1995. It never received a Japanese or PAL release. Mega Man X3 is an action platformer similar to the standard Mega Man series. You play 8 different levels in the order you desire and get special weapons from beating each stage. Like Mega Man X2, X3 included a Cx4 chip which allowed it to display some 3D vector graphics, an advanced feature for the time. 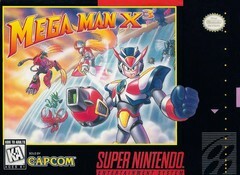 Capcom produced limited quantities of Mega Man X3 after supply and demand in balances in fall of 1995. X3 launched with a premium price of $74 (compared to $50 for most SNES games). Both of these factors make Mega Man X3 a rare title today. Wild Guns is a sci-fi/western themed shooting gallery game. You move a cursor around the screen to shoot at enemies. It is similar to light gun games but you use the controller to aim and must dodge the enemy attacks. 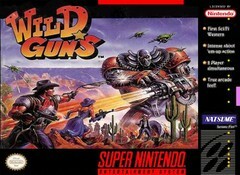 Wild Guns was released in fall of 1995 after a delay from fall of 1994. The delay came at the last minute because reviews for the game came out in 1994. It was considered one of the best shooters on the SNES and remains a cult classic for a very niche genre. 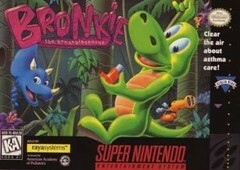 Bronkie the Bronchiasaurus is an educational platformer. The game tries to teach kids abou asthma while playing. The world is covered in dust causing asthma in the dinosaurs. The characters can get short of breath from cigarette smoke and furry animals. At times you are taught how to use an inhaler and quizzed on facts about people with asthma. The odd premise of the game probably limited sales when it released late in 1995. The game received poor reviews and is not very good, but that doesn't lower its price any for collectors. Earthbound is a cult classic RPG for the Super Nintendo. It has a very devoted following of fans who go to great lengths to buy the game and its sequels (both of which were unreleased in the USA but fully translated by fans). The game is full of funny characters, interesting dialog, and uses unconventional weapons like yo-yos and frying pans. The game has never been re-released on virtual console or available anywhere but the Super Nintendo. The unique nature of the game makes it very popular with collectors while the devoted following keeps supply low. Both of which keep this game selling for more than $120. Super Turrican 2 is an action game, very similar to Contra. You get gun upgrades to improve your weapons and defeat bosses at the end of each level. The game was released during Christmas 1995, near the end of the Super Nintendo's life. Because it was released so late in the console's life it didn't sell that well, but is still well regarded by collectors. The game has been re-released on the Wii Virtual Console in 2008 but resale prices have only increased since then. PriceCharting.com has daily updated prices for every SNES game and most Super Nintendo consoles and accessories. Our Super Nintendo price list includes more than 730 games. Glad I got Earthbound back in 2008 when it was going for $70-$80. No Super Copa in this list? @Alex - Super Copa is definitely a rare game, I've only seen one sale though so I haven't added to the list yet. After I confirm the high price it got the first sale I will add it to this list. Great suggestion though. The most recent sold on eBay ($129.95) was my copy. I priced it a little higher than I thought was average (around $100). I guess the one or two that were on there when I listed have already sold, as there were none listed as a few days ago. I see there is one listed now, but it's the Brazilian version, not the NA one. @Alex - Thank you for the info. We are tracking all the prices on Super Copa now so we should have an accurate price for it soon and can update the article. I wish I had gotten into Ogre Battle and Harvest Moon earlier. I have the Nintendo 64 versions but not the Super Nintendo. I could have made some money off those. @Bruce - Neither of those N64 games are too shabby collector's wise though. They are both on the most expensive Nintendo 64 games list too. There are also several SNES games that sell for significantly more when CIB. One game that comes to mind is 3 Ninjas Kick Back. I know some collectors that have been looking for years to find this CIB. Some other names I remember being mentioned were Fun N' Games and a Ren & Stimpy Game. Have you considered adding CIB prices for all cart based games at all? @anonymous - We have considered adding Complete in Box (CIB) prices to our tracking. We are actually discussing the technical details of doing this. Hopefully we can implement something like this in the near future. I got Harvest Moon, EVO, Chrono Trigger, Ogre Battle, Lufia & The Sinistrals, & about 40 or so other RPG titles...Bet I have a pretty good lot of titles worth several hundred dollars. Thanks for the list! I got Earthbound for free several years back because the owner thought it no longer worked. All it needed was a good cleaning and it works perfectly! Whos interested in Super Mario Bros.? GameReproductions.com is the best I have spent at least a grand there. I would recommend to all. Glad I held onto my Earthbound. Wish I had it brand new though. Got lucky and held onto my brand new copy of Terranigma 10+ years ago still in the box! Woohoo. Can't believe it's worth that much now. i bought earthbound at a second hand store for $1.81 the other day...haha glad i found it! @anonymous - Both of those titles are rare, but they are European titles instead of USA titles. This list focused on NTSC titles. @ele1707 - we will delete spam comments and comments that are just ads. The comments section is meant for actual discussion only. Had EVO, Dracula X, Metal Warriors, EVO, but sold them during college because i needed money for summer school.. I don't think the price charting list depicts the true collectors value of SNES games and has a negative effect on buyers/sellers who use this list to gauge their selling/buying prices. First of all, SNES games can be rare by country and area due to low distribution so me, an Australian looking at these prices expects prices here to be the same?? ZELDA loose goes for $70 - 80 with no manual over here. The chart pricing doesn't account for offline sales and the online prices aren't correct anyway! A game will say $2.99 - one the clicks on it to see where it is selling and it turns out that that price is for the lowest quality auction that still has many days left to bid. You need to capture the data for good quality games at the end of their auction - their ACTUAL sale price giving their ACTUAL value. I am a large seller on EBAY and I start my games at around $10 (NO SNES GAME IS WORTH LESS THAN $10) people keep messaging me saying that my games are too expensive because they looked at your list and reckon that my games are worth $3, $4 etc. I THINK YOUR LIST IS IRRESPONSIBLE and has created a false (negative) economy for game sales. You of all people should have more respect for SNES games and work on depicting their accurate value. @anonymous - Thank you for your comments. All of our prices are for NTSC versions of games. We do not track PAL or Japanese prices, except in rare instances where the games are very rare and have been asked for by our USA customers. The prices for you in Australia will not match exactly the prices listed on our website. Price wise we only take into account auctions that have ENDED with a BUYER. We do not take into account auctions that are still pending or auctions that ended with no bids. If you click on the "See It" links though you will be taken to live auctions on ebay so you can buy the games if you wanted. If you want to see completed auctions only click on the "Completed Auctions" tab on every game page. This will show you all the auctions that have ended and links to see the final price, bids, etc. There are lots of SNES games that won't even sell for $1. I have tried selling tons of sports games for $0.50 and had no takers. Maybe Australia is different, but in NTSC regions there are lots of games for less than $10. If you want to read more about the methodology for how we get the prices on our site you can read several articles we have written about it in depth. Breath of fire 1 and 2 anybody? I clicked the terranigma cartridge link and there is no link on the price page. May be also want to add Secret of Mana 2 to the list. @ele1707 - My understanding is Secret of Mana 2 is a reproduction as well. It was never released in the USA but was translated. These carts are probably reproductions using this translation. That being said I will start tracking prices on this item as well. I have super double dragon, final fight 1,2,3 all unopened and a snes system unopened. How much would all that go for just wondering. I've been using this to add up how much it'd cost to buy all the games I'm looking for. where is super copa ? what if you have donkey kong country with out the box just the game? whats the value for just the game itself? @anonymous - Prices are based on supply AND DEMAND. Supply for Earthbound is much higher than other games for SNES like Super 3D Noah's Ark. But demand is much higher for Earthbound because it is a great game and very well known. You always have to consider Supply and Demand when talking about prices. Rarity (number of copies in existence) is only the supply side of the equation. Understood, and because of this demand people take advantage. Thats everyday capatalism, but this market is snes games. Snes was a very popular system that sold tons of games. All this supposed demand is doing is making little shops pop up every where trying to sell me a loose copy of starfox for $35. Granted it is cool seeing shops dedicated to retro gaming all they are doing is selling common games to nostalgic folk telling them they are getting a great deal on a rare game. I remember that Donkey Kong Championship in Long Beach. My friend Dorian entered, we practiced day and night with the help of the Nintendo Power Guide I ordered. He won 1st place. Good Times. Hey jj great list what about final fight guy is it rare? It's interesting that in less than three years a lot of the games on this list have doubled (or more) their asking price. Aero Fighters for $78? The very cheapest you'll ever find it now is $250. Don't get me started about the scalpers on eBay and Amazon asking $350-$525. I have a 32 in 1 nes cartridge. Can anyone tell me anything about it? Cool webpage. Should be updated however, Castlevania Dracula X is like $125+ right now. Been looking for a copy for a while. I sold for Aerofighters for$ 425CAN last month. This is the most expensive game we ever sold since we sell games!! just picked up hagane for a dollar at a swapmeet my jaw hit the ground when I found it ..
Beware of SNES reproduction carts like Terranigma NTSC and Secret of Mana 2, because there have been numerous reports and reviews about dead save batteries in those carts and the Terranigma copy I got had the same problem. Not sure if it's because they use old batteries or due to a defect, but that is something to watch out if your game is a RPG or something. Also I am shocked at how high Demon Crest prices got since the past two years. I bought it for $60 in 2012 and just two years later it already doubled. Is there model numbers of certain games or even consoles that are valuable? I picked up a SNES Donkey Kong Competition cartridge at a pawn shop. I was shocked it was even there. 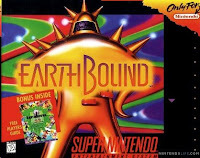 Earthbound has been rereleased twice now, on the Wii U Virtual Console in 2013, and on the SNES Classic Edition in 2017. The cost of the game seems to be unaffected, though. I own several games on this listed, but these games are getting harder to find nice quality Authentic copies. So much Repro Crap our their in the used markets! Prices for Hagane and Super Turrican 2 are WAY off lol. Nice shape cart only of Hagane is $700+ $180-$200 for Super Turrican 2.